Oz-Stravaganza! : Illustrator joins Author's Alley Line up! Illustrator joins Author's Alley Line up! Oz-stravaganza! 2011 is shaping up to be the best festival ever! Their has never been an opportunity to meet such a wide array of Oz universe guests, from writers and family of L. Frank Baum, to current illustrators, and even original actors and actresses from the 1939 movie- the Oz universe will certainly come alive this year. The latest addition to the talented line up in the Author's Alley is Gwendolyn Tennille Adams. Gwen is an illustrator, and she will be joining the co-authors of the new Oz/wonderland crossover book "Of Cabbages, Kings, & Even (Odd) Queens of Wonderland and Oz" which she is illustrating. 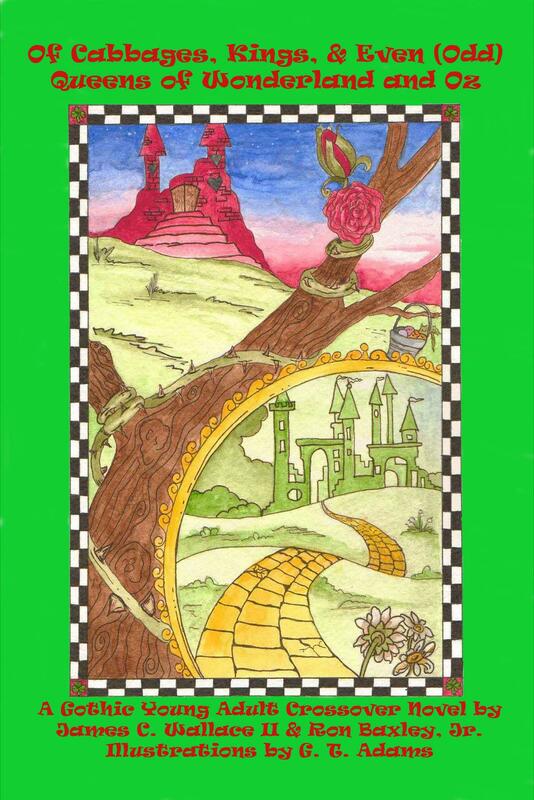 This will mark the first time that a new Oz book will debut at the Oz-Stravaganza! festival and that the authors and illustrators will all be in attendance to autograph your copy. Add in the fact that Oz-Stravaganza! is held in Chittenango, N.Y., (the birthplace of L. Frank Baum), and you have an unmissable opportunity. We hope you will all come and meet Gwen and all of the other guests at this years Oz-Stravaganza! June 3-5 in Chittenango, NY. While, from a marketing standpoint, there is some truth in that - I am merely jesting. Many folks only think of pictures when they think of "Art" - but the Art of story-telling can take many forms. And, a writer is as much an artist as an illustrator. L. Frank Baum was more than an Historian - he was an artist. All of those participating in this year's Author's Alley are unquestionably following in that tradition. I am really excited about this year's Author's Alley line up. I know we have the best Wizard of Oz festival in the world, right here in Chittenango - and it keeps getting better! This year's Author's Alley line up will be a true delight to all who take the time to attend. An amazing expanse of talent under one "roof", and I am sure for some who attend a once-in-a-lifetime experience! James C. Wallace II Returns to Author's Alley! Author's Alley Guest List Expands! "Silver Shoes" Author's Alley Update!